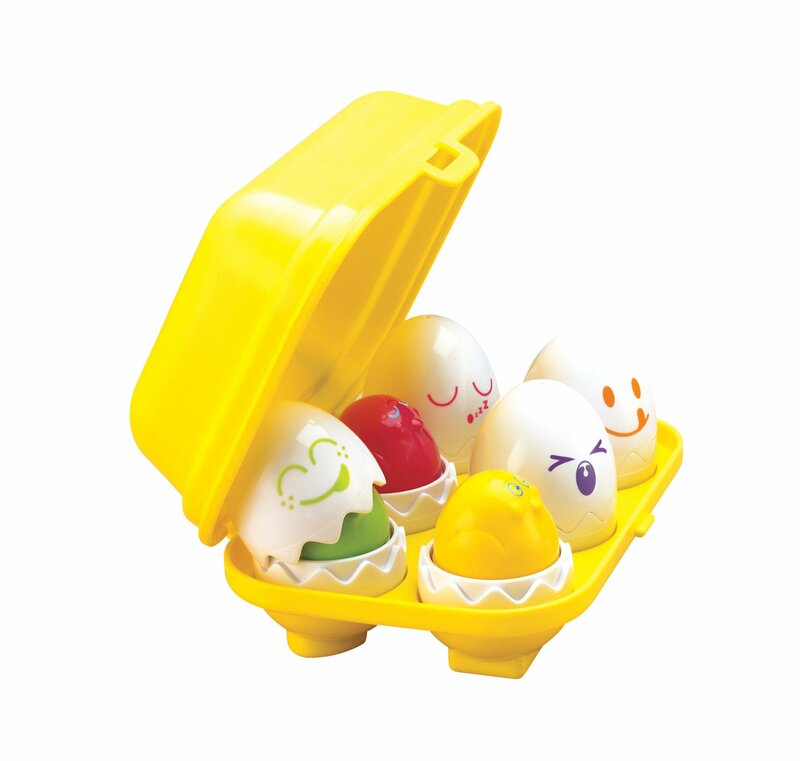 Hide 'n' Squeak Eggs are full of surprises for little hands to get to grips with! Sort the eggs into their spaces - each one has its own specially shaped base inside the egg box. Match the colors of the shells to the cheeky chicks inside. Encourages shape and color recognition and provides hours of imaginative play. Listen when you press down - each chick chirps a happy cheep-cheep. Chirp! Chirp! These are not your ordinary eggs you find atthe grocery! Crack open the shells to reveal six egg-stra special chicks.Learn shapes by sorting each shell into it's own carton spot. Six differentface/shell combinations included. Press down gently on their heads to hearthem cheep! Best of all, no batteries are needed! Recommended for ages 6months and up. Great gift idea! From the Manufacturer Shells crack open toreveal six egg-stra special colorful chicks. Press down gently on their headsto hear them peep.